“Rarely do I find a sequel to be better than the original. 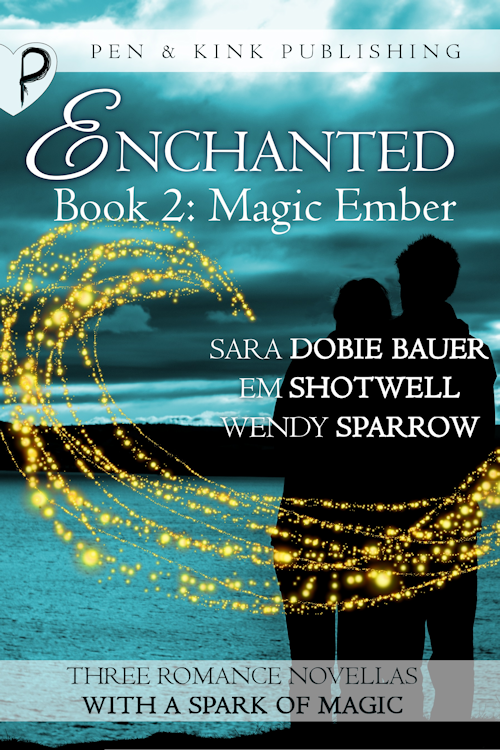 In the tri-storied Enchanted series it does for all three tales. Exciting, suspenseful, rapidly paced with wild turns, I love Magic Embers. Magic HOW TO CAPTURE YOUR MATCH: A DEMIGOD’S SURVIVAL GUIDE follows Corbin, demigod of pain, as he chases bail jumpers, then prepares to die before a young nurse reveals remarkable healing abilities. Of course he must abduct his comatose, nearly dead match before he combusts and she fades. Their snarky banter is delightful. THIS HOLLOW HEART involves the youngest of the sisters as her magical tattoos bring joy, confidence, healing, and protection. More is revealed about their past, sisterly love and deceptions, concealed hurts. When her new chance at romance brings betrayal and deception, even abuse, she seeks the greater magic of the three as her solution, and again it is performed at the wrong phase of the moon, with disastrous results. DESTINY’S DARK LIGHT: PART TWO continues revealing Cyan’s evolving powers and the path to war. The unexpected twists and surprise turns, the opening battle between light and dark witchcraft, and the loving interference of her family left me breathless. “This is the second book in the series and is a smooth continuation from ‘Magic Spark’. The stories just get better and better. Exciting, fast paced, full of suspense with many twists and full of surprises, the Authors have written unpredictable tales from the same world but with totally different characters. The cast of characters, main and secondary, are well thought out and well developed and evoke all sorts of different emotion from the reader.